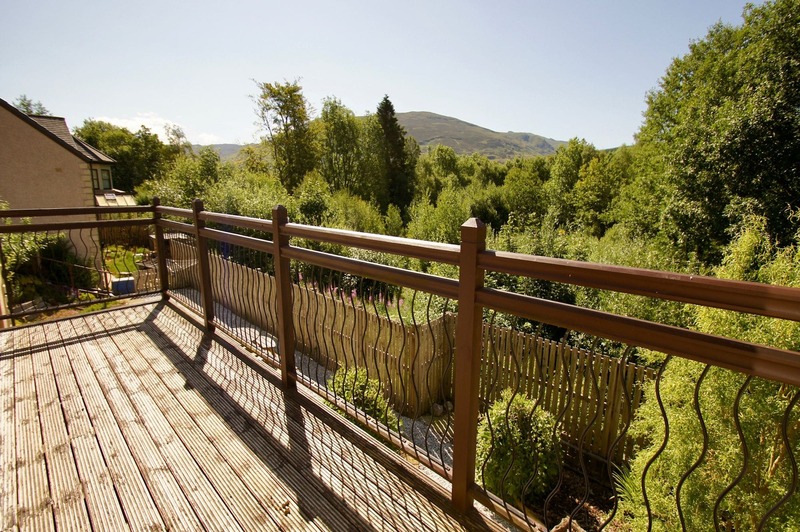 Vorlich View is a spacious large holiday home in the village of Lochearnhead in the Trossachs National Park with views towards the loch from the balcony. The house is built in an upside-down design with bedrooms downstairs and kitchen, lounge and dining rooms on the upper floors. To the rear of the property on the lower floor, accessed via a flight of outdoor stairs, there is a patio area and seating. Lochearnhead attracts watersports enthusiasts who enjoy Loch Earn during the summer months with motor boats, sailing, canoes and fishing. The accessible route 7 cycle path is a short walk away with the local Munro Ben Vorlich on the South side of Loch Earn attracting the Munro baggers who have a few to chose from including Ben More and Ben Lawers just a short drive away. Families enjoy the central location where they can visit the many historical sites and enjoy family days out. Parking is available directly outside the property in a private driveway for two cars. Level access leads into the entrance hall and living areas on the top floor. An entrance vestibule leads into the upstairs hallway. A spacious lounge with sofa seating, log-fire and flat-screen television with DVD player. WiFi is available. 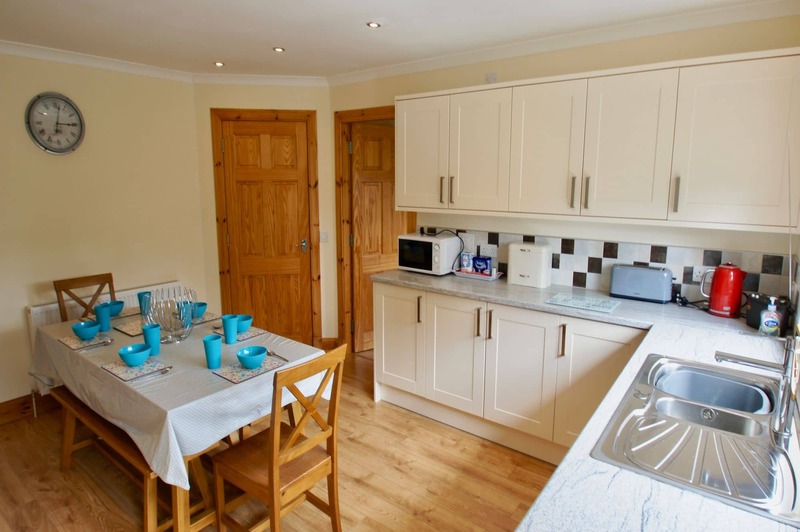 The large kitchen is fully fitted with fridge-freezer, cooker and hob, toaster, microwave and kettle. 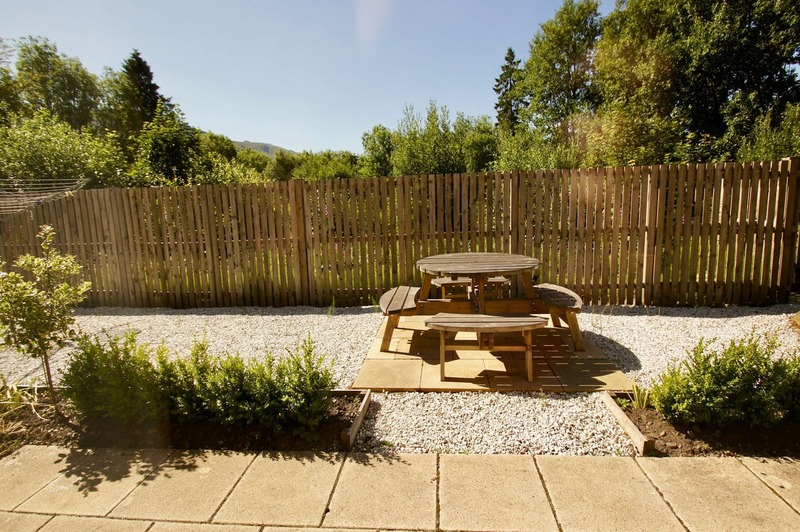 From the kitchen guests can access the balcony with views towards Loch Earn. There is a separate dining room with table and seating for eight. A family bathroom on the upper floor contains a bath, shower, sink and toilet. 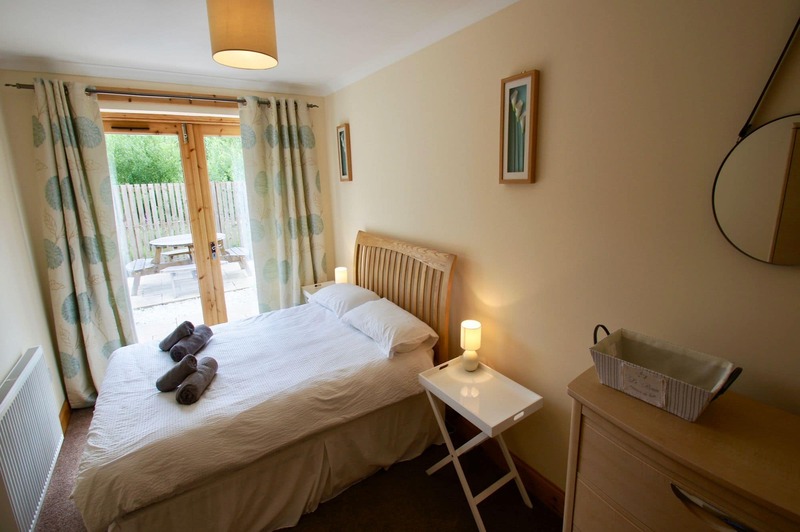 Downstairs there are four double bedrooms, two of which are en-suite. From the lower floor guests can step outside onto the patio area. 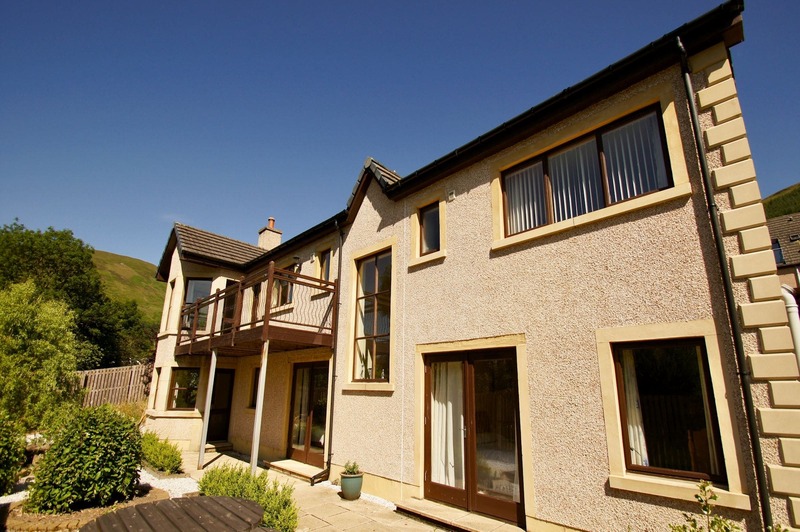 Guests can enjoy fishing and sailing on Loch Earn, cycling on the nearby National Cycle Network, and hiking the several munros in the area including Ben Vorlich.